A new partnership could herald a historic moment for the cryptozoology community. Venerable Oxford University will partner with the Lausanne Museum of Zoology in utilizing the latest genetic techniques to investigate organic remains of crypto creatures. Among the list of evidence to study? 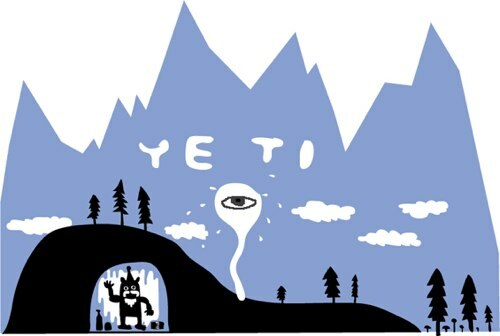 The Yeti. Professor Bryan Sykes, a Fellow of Wolfson College, Oxford, who will lead the project with Michel Sartori, Director of the Lausanne Museum of Zoology, said: “Theories as to their species identification vary from surviving collateral hominid species, such as Homo neanderthalensis or Homo floresiensis, to large primates like Gigantopithecus widely thought to be extinct, to as yet unstudied primate species or local subspecies of black and brown bears. Sykes hopes that the Yeti evidence could lead to new breakthroughs in our understanding of Neanderthals and other early hominids. Over 10,000 years ago a creature stalked the Tibetan landscape. 10 foot tall, weighing in at over 1,200 pounds, this lumbering herbivore moved like a massive version of a modern Orangutan. 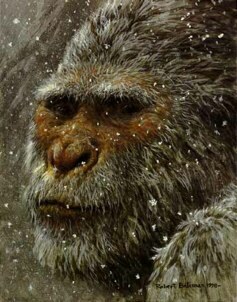 His name was Gigantopithecus and his species is a likely starting point for the Yeti and Bigfoot legends propagated even today. And the blood of this noble creature stains the honor of our evolutionary ancestry. Before we get to that, let’s back up a bit. 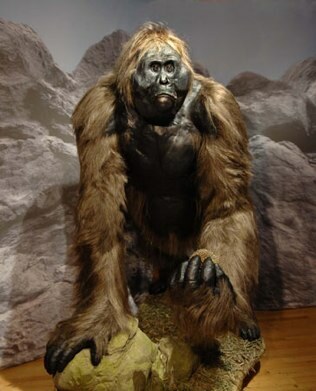 Gigantopithecus has been on our radar since 1935 when a German paleoanthropologist was sold a far larger than normal molar at a bizarre in Hong Kong. Since then, a variety of dental records have been gathered to give us a better idea of what this massive beast was. As to the question of how it went extinct, there are a few theories. Zhang’s team suggested the rise of the Tibetan plateau 1.6 million to 800,000 years ago altered the climate of South Asia, ushering in a colder, drier period when forests shrank. Other factors could have exacerbated this crisis. Gigantopithecus‘s neighbor, Homo erectus, may have over-hunted and/or outcompeted their larger ape cousin. Homo erectus, a key link in the chain of life that brings to this point today, reading The Internet instead of working. They killed Gigantopithecus. They killed the Yeti. 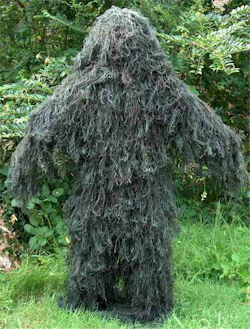 A female Yeti has finally been captured in the Republic of Ingushetia. The creature was spotting killing a sheep, before dragging it into the woods and eating it. Authorities found the beast and captured it. “I tell you what. The animal looks like a gorilla. It is nearly two meters tall. We believe it’s a female, but she is really big. A gorilla usually moves using its front extremities, but this creature stands vertically, like a human being. She roars and produces strange sounds,” the minister said. The animal is frightened; she eats meat and herbal food, the official added. Or so the initial report read. Until the truth was revealed. “That was a life-size puppet that we are going to use for New Year holidays. 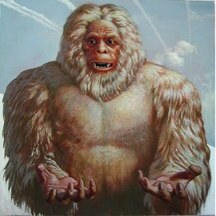 You guys just think – it’s December 29th – what kind of Yeti can there be before the New Year holidays? 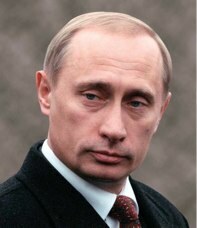 He will be our Yeti for three days: on December 29, 30 and 31,” the minister said. The story was concocted for local children. 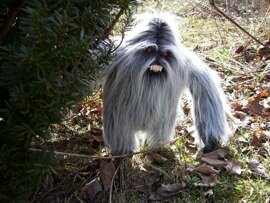 The Yeti will be joined by several talking animals including a squirrel and a wolf. A recent collection of Yeti researchers in Siberia might have turned up evidence of a nest. “We didn’t feel like the trees we saw in Siberia had been done by a man or another mammal…. Twisted trees like this have also been observed in North America and they could fit with the theory that Bigfoot makes nests. The nests we have looked at are built around trees twisted together into an arch shape,” Bindernagel told the British tabloid The Sun. Next up: proof of Yeti pillow or electric blanket. Sightings are up. The legends are building. 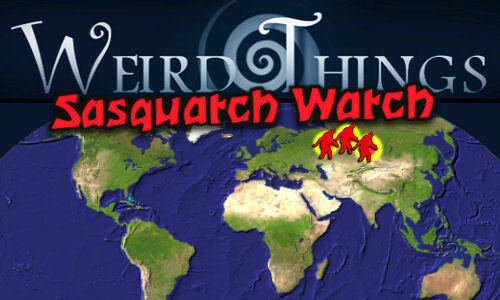 In the foothills of Siberia, the time has finally come for scientists from around the globe to unite in a common cause. Researchers from Russia, the U.S., Canada, Sweden, Estonia, Mongolia and China will arrive later this week at a conference designed to find evidence of the beast. Other evidence of the existence of the creatures — such as basic twig huts, twisted branches and footprints of up to 35 centimeters (14 inches) — also has been found in the area. While former Russian president Vladimir Putin was publicly flirting with a return to power, he finally gave his opinion on a far more important matter, the ongoing presence of Yetis and Wood Goblins in the remote areas of his expansive home country. 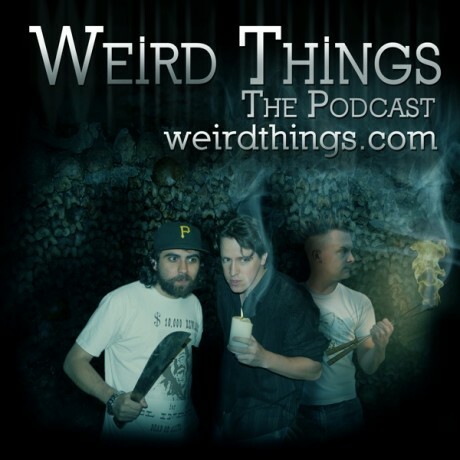 We’ve previously covered this fascinating battle in depth on the site and on the podcast. Special guest Dr. Karen Stollznow helps the gang plan a heist for a sacred Yeti paw. Brian and Justin get enormous glee from watching Andrew get corrected. The ethics of eating canned whale meat is debated. We also find out how ready and willing we are to be corrupted by the dark side. Then a super secret plan (shhhh!) is hatched to get prominent skeptics tripped out on psychoactives so we can see what happens when they have their own double rainbow experience. 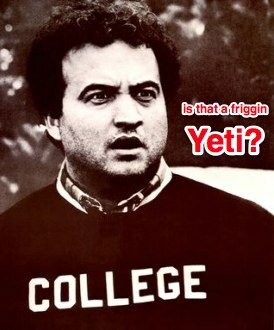 You are currently browsing the archives for the Yeti category.